LBR, there is nothing better than having some ice-cream in Singapore’s hot weather. 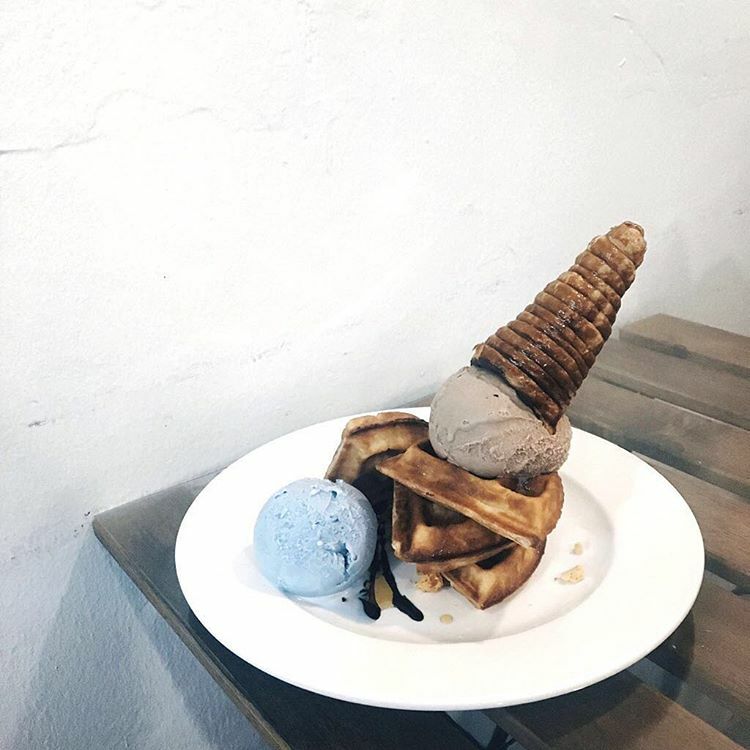 Whether it’s one of those ice-cream sandwiches from your neighbourhood ice-cream uncle or an atas plated ice-cream dessert, I’ll never say no to to this cold, creamy treat. 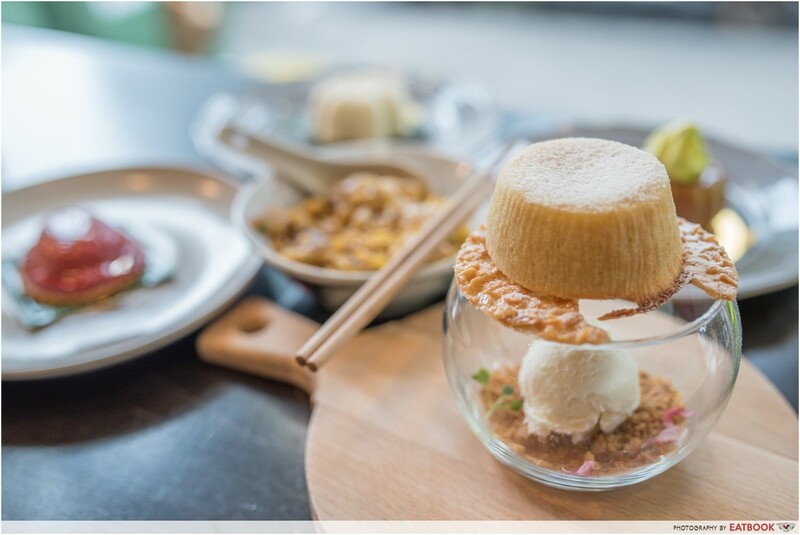 As a self-professed ice-cream maniac, I’ve dug out 10 spots in Singapore to get ice-cream desserts that are equal parts pleasing to the eye and taste buds. 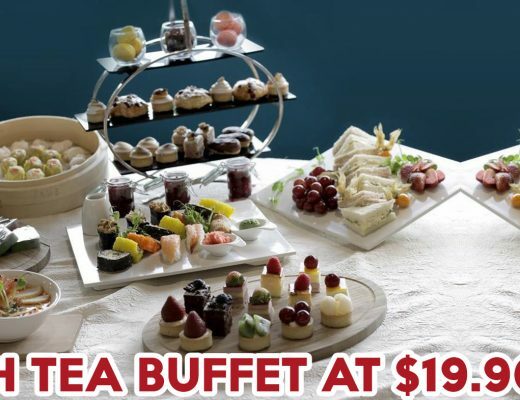 Previously known for fried ice-cream rolls, 21 Cube has since come out with much more interesting offers. 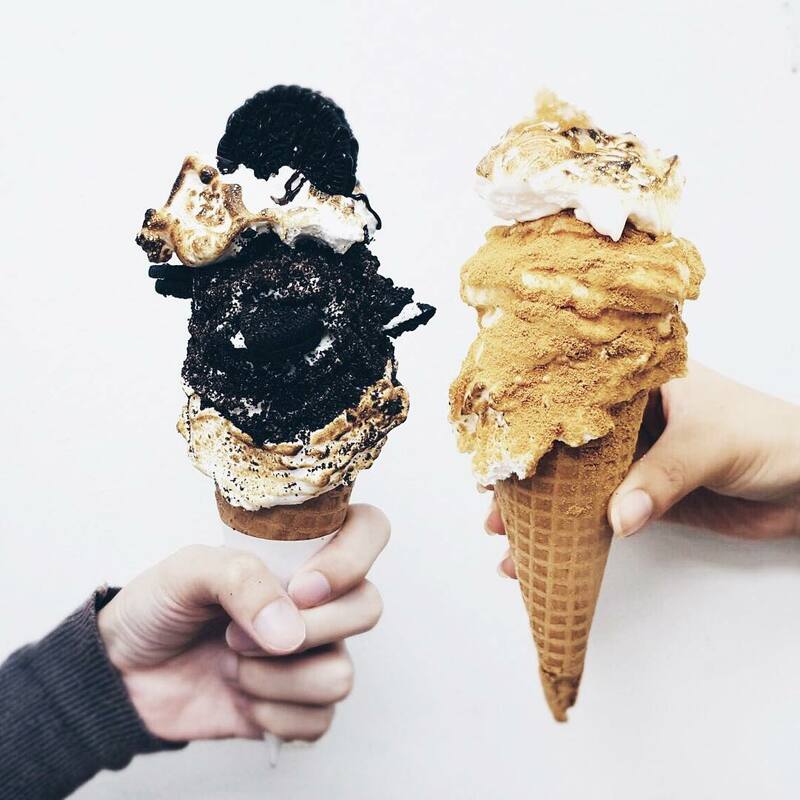 S’moreo ($5.90) and Honey Goldilocks ($6.40) are chunky soft-serve creations, which feature a torched marshmallow exterior filled with milk soft-serve and sprinkled generously with cookie crumbs and chocolate chips. The former is reserved for major Oreo fans, thanks to its generous scoops of Oreo crumbs, and the latter is great for anyone who loves honey or graham crackers. 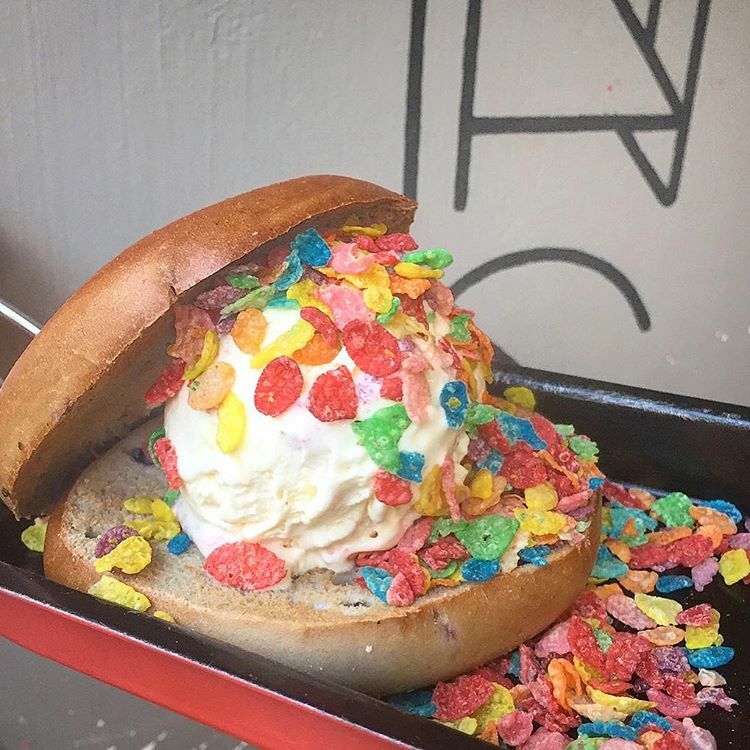 Full of Luck Club’s Hokey-Pokey Ice Cream Bao ($6++) is made up of honeycomb ice-cream and toasted mini marshmallows sandwiched between a deep-fried bun. Wrapped with sprinkles of cacao nibs, this is one dessert that’s way too cute to pass off. 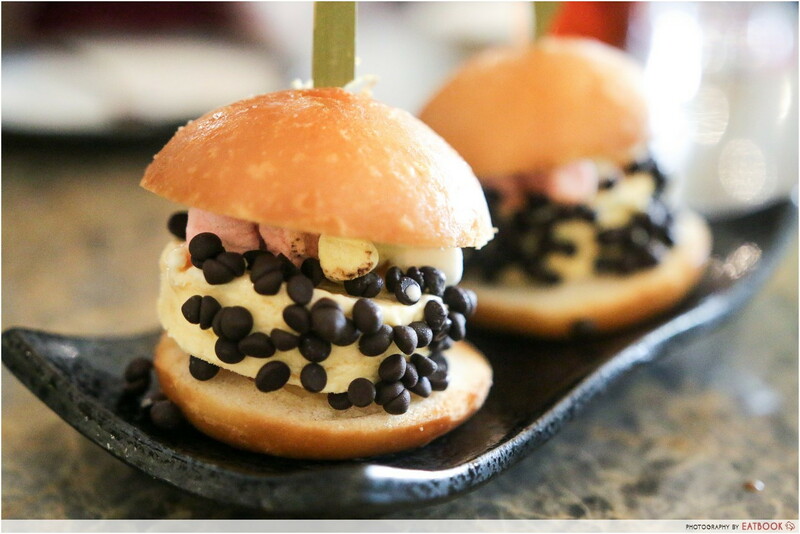 If a $1 ice-cream sandwich is your thing, then this upgraded and even more decadent version of it should definitely go on your list of must-haves. Sinseh may be famous for recreating viral galaxy donuts, but their bagels ($10) are not to be missed too. Fill yours with a scoop of homemade ice-cream and toppings of your choice to get a Insta-worthy ice-cream creation. Served in a cute tray, get your forks ready to sink into this savoury-sweet dessert. A great option for those who aren’t crazy for sweet stuff or find usual ice-cream waffles too jelak. If you want to completely overdose on the sweets, you can also get a galaxy donut ($3 for mini, $4 for large) and pay extra to get a scoop of ice-cream along with it. 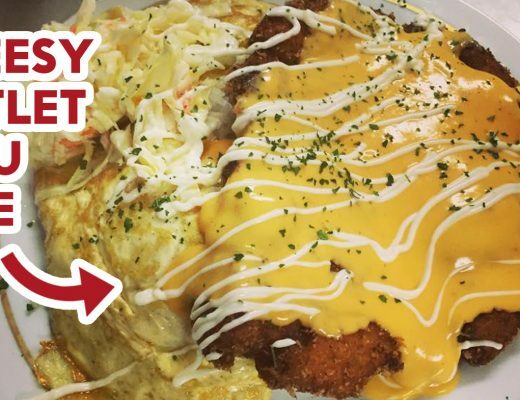 Find out where else to get local renditions of viral dishes here. Desserts that promise the ooze have been popping up everywhere since Singaporeans hopped onto the lava bandwagon, but nothing speaks more to me than molten lava cookies. 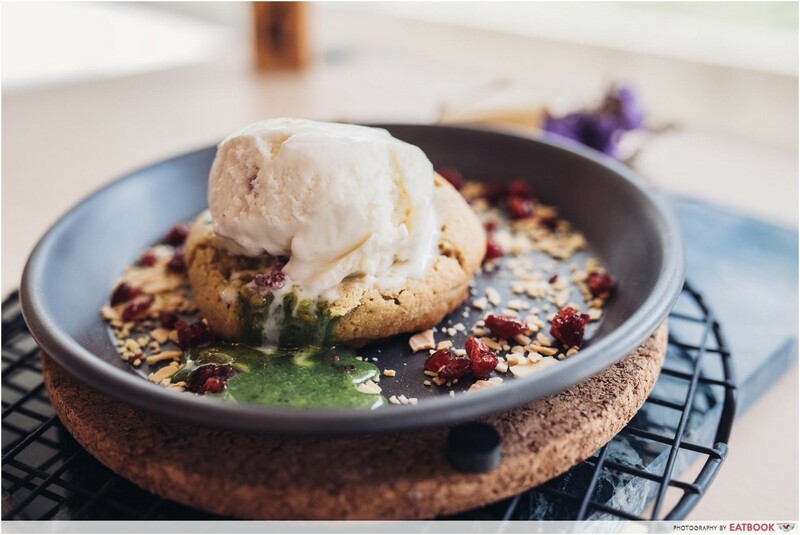 Matcha or Chocolate Cookie Set ($8.50) from Kooks lets you plonk a scoop of ice-cream onto a molten cookie to create a lava explosion perfect for Snapchat or Boomerangs. Each made-to-order cookie takes about 10 minutes to arrive, so you can look forward to a piping hot molten core encased by a chewy, soft cookie with slightly crispy edges. 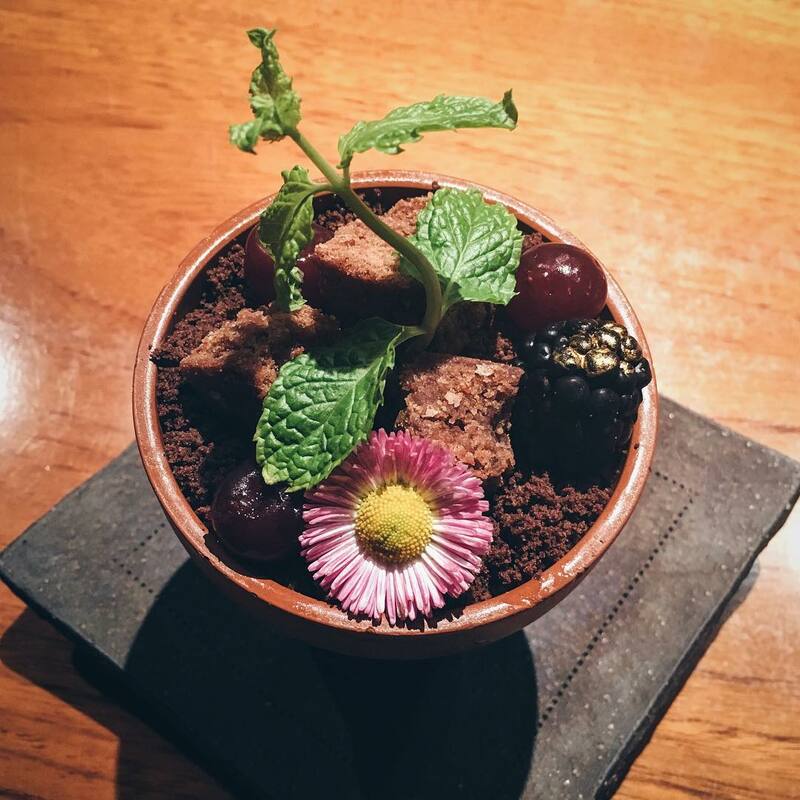 Mezza9’s Flower Pot Of The Day ($16++) may not look anything like ice-cream, but you’ll find huge scoops of sea salt caramel ice-cream beneath a pile of edible flowers and chocolate soil. Talk about a dessert that’s pleasing to both your eyes and taste buds. 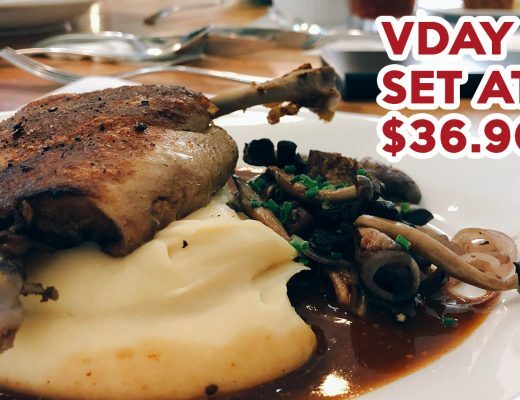 If you’re feeling up for a sweet, sweet challenge, get a Dessert Extravaganza Platter ($36++) that includes 4 different desserts and 3 scoops of ice-cream. A smart casual dress code is enforced here, so remember not to drop by when you’re in singlets and flip-flops! If there’s one thing you must get at Churn Creamery, it’s a puffcone ($1.50). This puff pastry cone comes with a flaky crust that holds chocolate sauce from a tap, and it’s topped with a scoop of ice-cream of your choice. The chocolate sauce hardens upon contact with the ice-cream, so don’t worry about getting your hands messy eating this. They have a mystery ice-cream flavour that changes monthly, allowing customers to guess the flavour and get a free scoop of it! Non-Entree made waves with their new Bak Chor Mee ($14.90+) dessert, but Avalanche series ($13.90+) takes the cake for me. This photogenic dessert requires you to break through a lava cake, releasing lava onto a ball of ice-cream at the bottom of a glass bowl through a gap on a almond nougatine disc beneath the cake. Chocolate, matcha and even a temporary Horlicks flavour are available. Dig into it quickly and enjoy it together with chocolate “soil” or peanut butter crumble, depending on the flavour you order, to make things interesting in terms of texture. 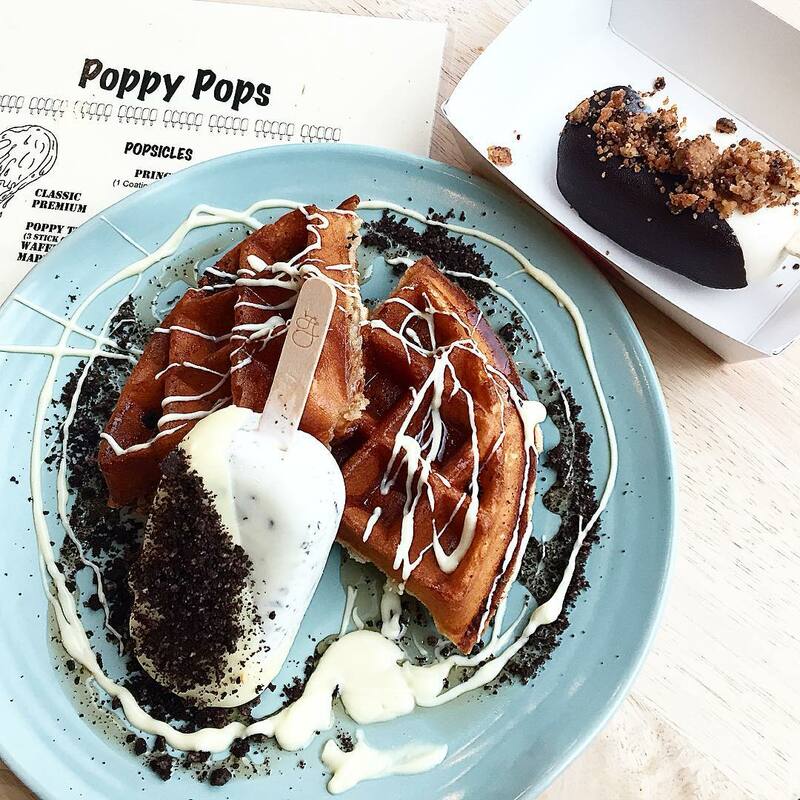 Ice-cream waffles at Poppy Pops looks anything but ordinary. Each waffle ($2) comes with ice-cream popsicles ($4.80 each) that you can choose the flavour, coating and topping of. Flavours include watermelon soju and peanut butter and jelly. If you want to try more popsicles, opt for Poppy Trio ($6), which is a tasting platter of three mini-popsicles. On the flip side, flavours for this are limited and any topping or coating would incur additional charges. At Geometry, you’ll get crumbly, handmade tarts ($9.90 each) that pair beautifully with ice-cream ($3.20 for single, $5.50 for double, $2.50 for subsequent scoops). And ice-cream at Geometry doesn’t need a ton of toppings, because it’s so well made it deserves to be savoured without distractions. Paired with just a smudge of white chocolate and salted caramel floss, the lightness of ice-cream cuts through the rich and buttery tart perfectly. Although premium flavours require an extra $0.70, I highly recommend Earl Grey Tie Guan Yin. As for classics, go for a scoop of creamy and nutty pistachio ice-cream that is great with their warm tarts. As an avid follower of sweet treats around the world, Dominique Ansel’s creations have always held a close place in my heart. So when I saw a local rendition of his world-famous Frozen S’mores, I had to try it. 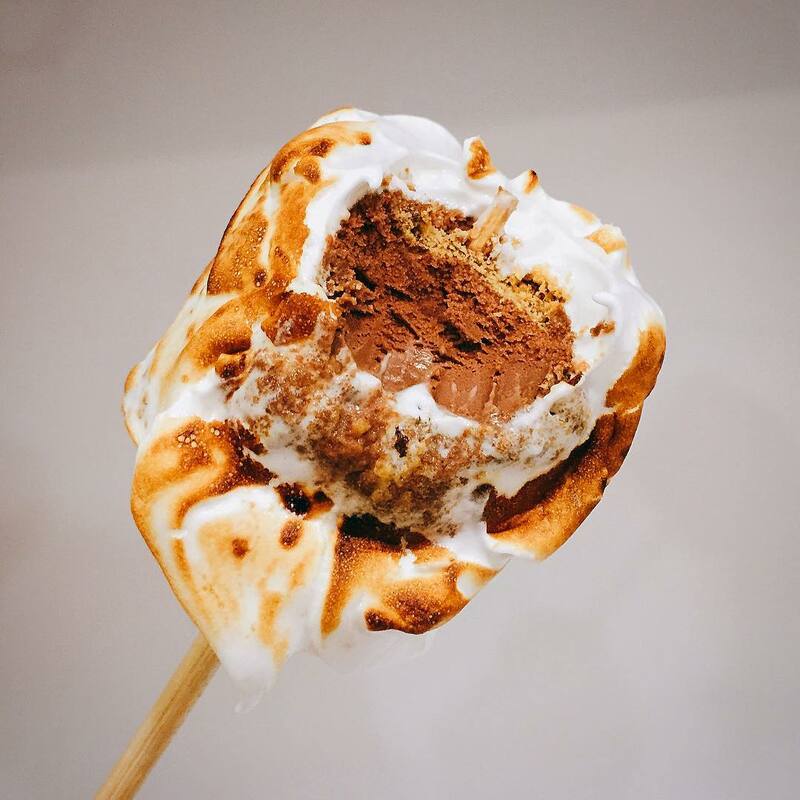 Scoop Therapy gave theirs a twist with a dark chocolate ice-cream core instead of vanilla, and the ice-cream surprisingly didn’t melt during the torching process. Though it’s not anything close to the real deal from Dominique Ansel, the S’mores ($6.50) was still a pretty good dessert in its own right. 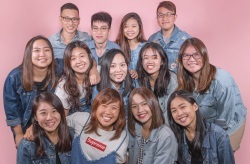 With more and more local restaurants and cafes coming up with creative spins on ice-cream, we’ll soon find ourselves happily bombarded by this timeless dessert. 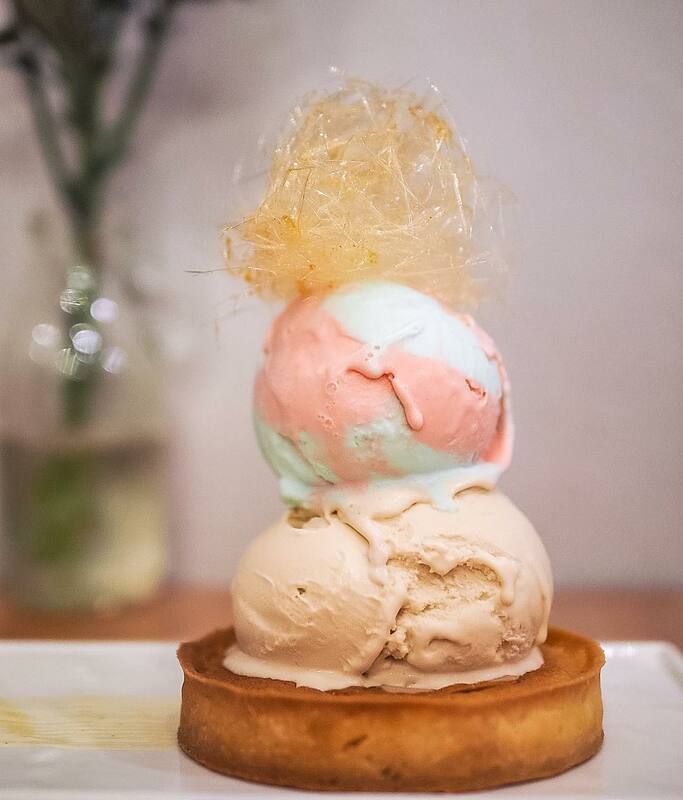 If you know anymore photogenic ice-cream desserts, holler in the comments below!